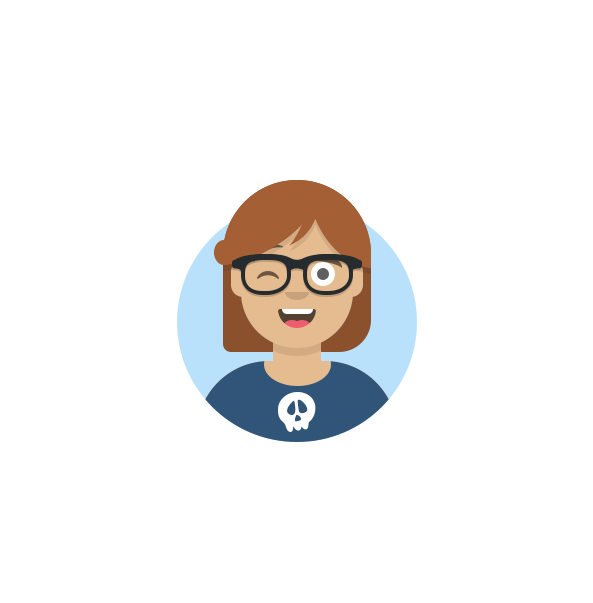 Avataaars is a free Sketch Library that allows you to quickly create avatar illustrations. Combine clothes, hair, emotions, accessories, and colors. Would you recommend Avataaars to a friend? Filipe Gonçalves has used this product for one day. If there can be a programmable web app or something to create pngs for other usage. This is the type of people that keeps the design community together! Taha Azam has used this product for one day. Hello friends! Thank you so much for the hunt, Chad! So, Avataaars is a Sketch library to create character illustrations. You can use it for your product, for fun, for personas, for team pages, or just for fun! You can mix & match hairstyles, accessories, clothing, eye expressions, mouths, skin color, and even graphics on t-shirts. Use it freely for your personal or commercial projects. No need for credit (but if you send me a link or screenshot of what you made with it, it would make my day.) Get it here: http://www.avataaars.com/ I highly recommend just opening it up on Sketch and start playing with it. But if you want more background, here's some info about it ABOUT LIBRARIES In case you don’t know, libraries are just a Sketch document with lots of symbols that you can use in multiple files. Once you download the file do the following: • Go to menu “Sketch / Preferences.” or ⌘ + , • Select the “Libraries” tab. • Click “Add Library” • Select this file from your computer and add. USING OVERRIDES Every avataaar has overrides that you can apply. When you select an avatar, check out the inspector to see all the things you can customize. • TOP: The customization starts with the Top (hair and accessories). Some hairstyles have a nested override to change the hair color. Other Tops allow you to modify or remove facial hair and even change the color of it. Neat! • ACCESSORIES: Add or remove glasses from your avatar. More fixtures coming soon :) • EYEBROWS: Select the type of expression you want your eyebrows to have. You can select a “natural” look or “outline” look, which is a bit more cartoonish. • EYES: The window to the soul! Select from different expressions. Inspired by emojis • MOUTH: Select different type of smiles, frowns, or screams! • CLOTHES: Select different types of shirts, jerseys, and overalls! Some of the clothes have a nested override to change the color.Pro Tip: Select the “Graphic Tee” to add an icon or some custom text to your shirt! • SKIN: Select different skin colors to fine tune your avatars and add diversity to your illustrations. The colors are based on the emoji options + “Yellow” and “Tanned.” • CIRCLE COLOR: Change the color of the circle mask, Only available in avatars with circle background. SCALING AND TRANSFORMING. Almost all the avatars should be able to be transformed and look good (but some stuff might break). Sketch 48 will allow symbol scaling (not supported on 47 or below.) In the meantime, you can hack this by grouping the symbol first and then scaling up or down the group. CUSTOMIZING To customize the library merely jump to the symbols page in this document and go crazy! I recommend duplicating existing symbols and use them as templates to create your own. You can also just edit the existing symbols and fine-tune them to get them just 👌. WANNA COLLABORATE? If you want to expand on this library, you can either use it as a template, add your stuff, and then publish it for everyone! To make your additions part of the official library, just shoot me a PM on twitter (@pablostanley) when you have something, and we’ll update it! @pablostanley Beautifully done! Love the landing page! Thank you for this! @pablostanley This is really incredible. Thanks so much! @pablostanley Love the work you do! Been a long time viewer of Sketch Together. You taught me heaps :) thanks for giving back to the design community. @pablostanley Going to be using this for our Team page, will need to add a bunch of customisations to fit our people, hopefully these can be published for others to use! Pablo is such a positive influence on the design community and someone who loves giving back. This Sketch Library is another example of just that! Let's have a little fun with this, shall we?! 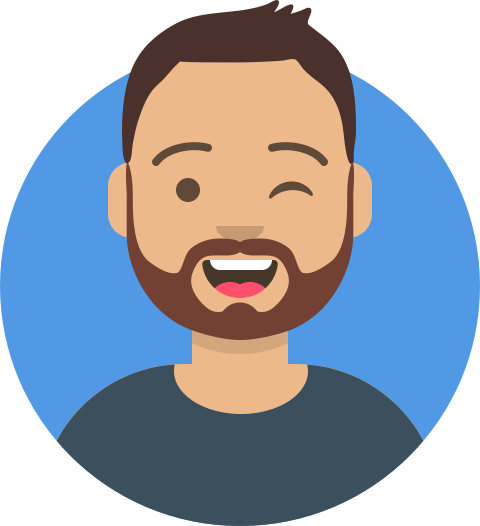 Download the Avataaars Library, build an avatar of yourself in Sketch, and then upload it below. Here's me in Avataaar form: Note: Upload your png to imgur.com and paste just the link (e.g. https//imgur.com/I80W1Q0.png) in your comment below. Amazing contributions like this are exactly what make @pablostanley so incredible!